Foodie fever arrives in Sefton from Friday May 31 to Sunday June 2 with the annual Southport Food and Drink Festival. And to make the event even better, Arriva North West have just confirmed that they are this year’s headline sponsor! This is a festival that’s seasoned with all the flavours of the region’s vibrant culinary scene and served in the beautiful setting of the town’s Victoria Park. People attending the event will be able to travel to the festival via Arriva services across Southport, meaning they are able to enjoy all of the food and drink on offer, without having to worry about driving or parking. Arriva has recently updated its services in Southport to include contactless payments, helping to make travel to the festival even easier. The sponsorship of the festival comes as part of Arriva’s wider community work across Southport; last year, local residents were actively encouraged to start using public transport to travel to and from matches at Southport FC as part of an ongoing partnership between the football club and the bus company. 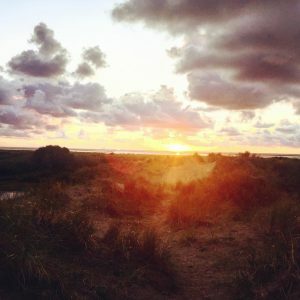 Southport Food & Drink Festival is a free event is for all the family, with plenty of entertainment taking place alongside an eclectic mix of food and drink and live music. There’s an array of street food stalls to choose from serving lots of savory and sweet dishes, an international flavour and healthy as well as vegetarian options. There will also be a huge variety of food and drink producers from the region, showcasing the very best creations imaginable; from Posh Pots to Retro Shots, herbs and spices, to pies and puddings. 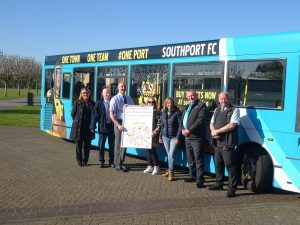 The special Southport FC Arriva bus, One Port, will also be present at the festival over the weekend, giving people the chance to find out more about the partnership and match day travel options. Tourism Service Manager, Mark Catherall said ‘We have worked closely with Arriva North West to promote Southport for many years. The sponsorship will not only give Arriva a great platform to promote their routes into and around Southport but is also an excellent addition to partnership working. If you are planning to come to the festival you can leave the car at home, jump the bus, eat good food, soak up the atmosphere and make a day of it. Talking about the partnership, Arriva North West’s head of marketing, Lisa Pearson, said: “We are always looking for ways to support the local community and we know how important the Food and Drink Festival is to residents and those visiting the local area. Arriva services throughout the rest of Merseyside will be contactless by June 2. Although mainly catering for the family cyclist, our business encompasses all aspects of cycling.